You should never underestimate the value networking can give you. It provides an opportunity for you to meet like-minded people whom you can work with or learn from in some way. Influencer marketing events can provide you with valuable networking opportunities, and well as gems of knowledge which can make an enormous difference to your business success. Last year the Influencer Marketing Hub was proud to host Under the Influence - the influencer marketing conference of 2017. This year we are holding a series of 2-day influencer marketing crash courses, in both the US and the UK. 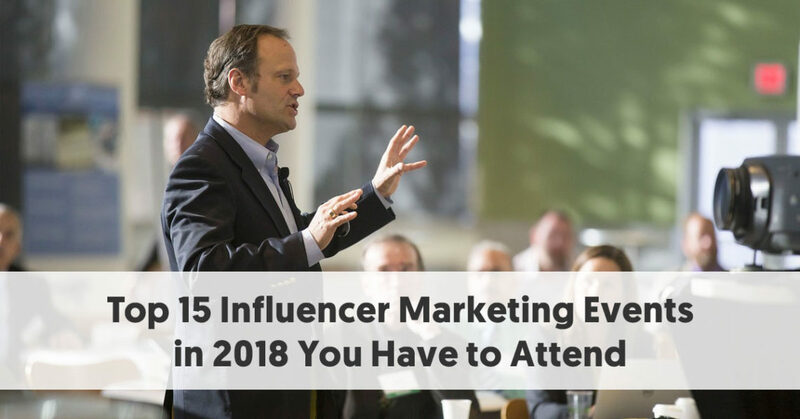 Here are 15 events that should be of use to companies wanting to learn more about influencer marketing or influencers wishing to hone their skills. Most of these will provide excellent networking opportunities. 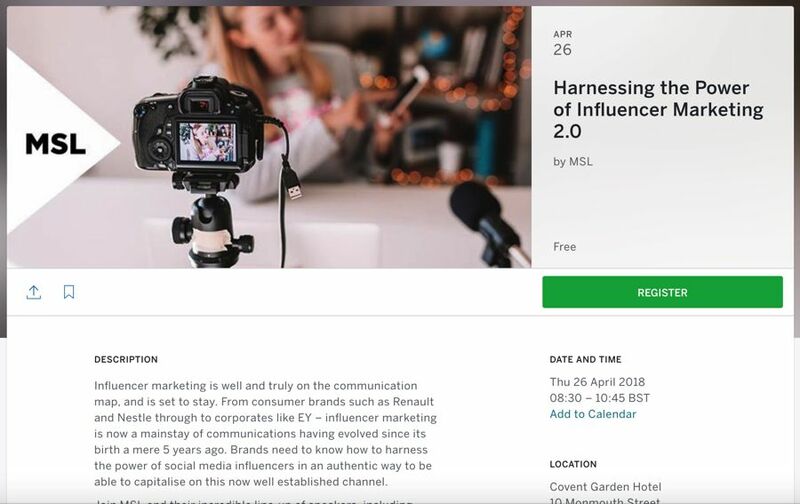 The Influencer Marketing Hub is proud to offer a regular two-day training course to teach the skills of Influencer marketing. We pair up with thought leaders to bring this Crash Course at various times during 2019, on both sides of the Atlantic. We limit each class to 20 spots, to enhance the attendee experience. If you have any connection with the beauty sector, the BeautyCon Festivals are an ideal place to meet the real Influencers of the industry. They are the premier beauty networking events of the year. The New York event is already sold out, but they will undoubtedly be back in town next year. If you are a brand wanting to make Influencer connections, we advise you to buy either the Social or All Access Package. These will give you access to a special Social Lounge, where you will be able to meet many of the top beauty Influencers and celebrities. You will find most of the major beauty brands represented at these festivals, along with the major social networks. MSL targets the training at brand, communications and marketing professionals at client organizations. They recommend that you already have an understanding of influencer marketing and an appetite to launch a campaign within the next six months. Playlist Live is a relatively established event – the upcoming Orlando event is the 8th Annual Playlist Live there. It allows online creators and their biggest supporters to come together in one place. Friday is Business Day, with all attendees able to visit on the Saturday and Sunday. The Business Day contains a full day of programming dedicated to the industry of online video. You need to purchase a separate Business pass to attend this. The Business Day includes panels and discussions by both famous creators and industry professionals. There is an Insight Pass available for those who want to learn about the creator side of digital video. One of the most popular parts of Playlist is the Meetups section. It gives an opportunity for attendees to interact with their favorite creators without a computer screen. You do need to reserve a spot for a meetup in advance, however. 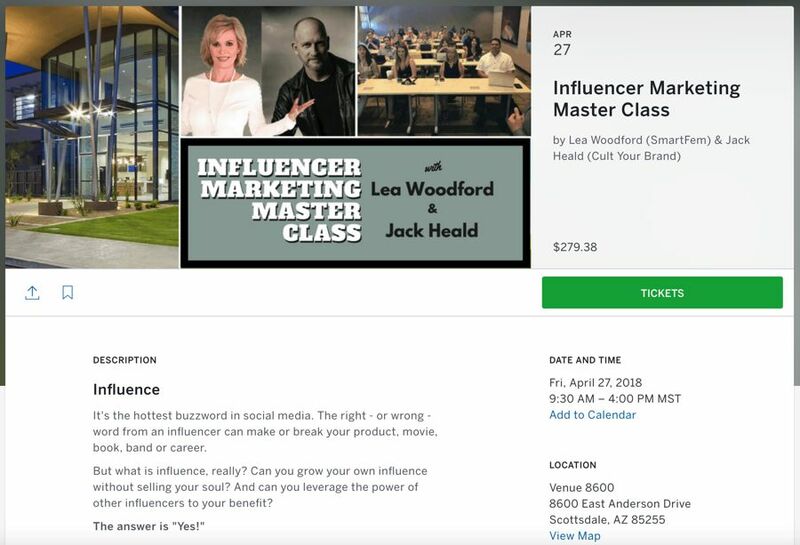 The Influencer Marketing Master Class is a day-long session targeting solopreneurs, small business owners, authors, speakers, and anyone wanting to build and leverage influence. It aims to teach you techniques proven to expand your social media influence. creating leads through Facebook and LinkedIn groups. All About Influencer Marketing describes its purpose well. 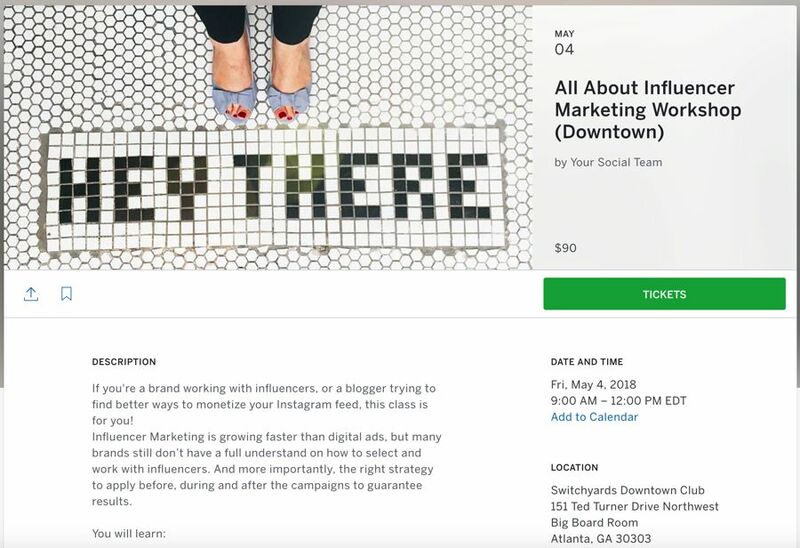 It is a morning workshop for brands working with influencers, and bloggers trying to find better ways to monetize their Instagram feeds. The Social Shake-up sees itself as the intersection of marketing, public relations and social. It aims to provide businesses with ideas to move themselves and their brand forward. It will include interactive sessions, case studies, panel discussions, fireside chats, clinics and more. They will focus on Social Strategy, Integrated comms, customer experience, video, monitoring, data, Facebook, Snapchat, Instagram, Twitter, LinkedIn, content marketing, mobile, crisis management, podcasting, blogging, social good, visual storytelling, paid social, organic social, SEO, online communities, customer mapping, talent retention, measurement and social commerce. The Keynote Speaker is Brian Fanzo, CEI, iSocialFanz. He has helped launch digital and influencer strategies for brands such as IBM, Applebee’s, Adobe, Dell EMC, UFC, and SAP. His address will be on how to win brand ambassadors and supercharge your brand’s storytelling through live video. 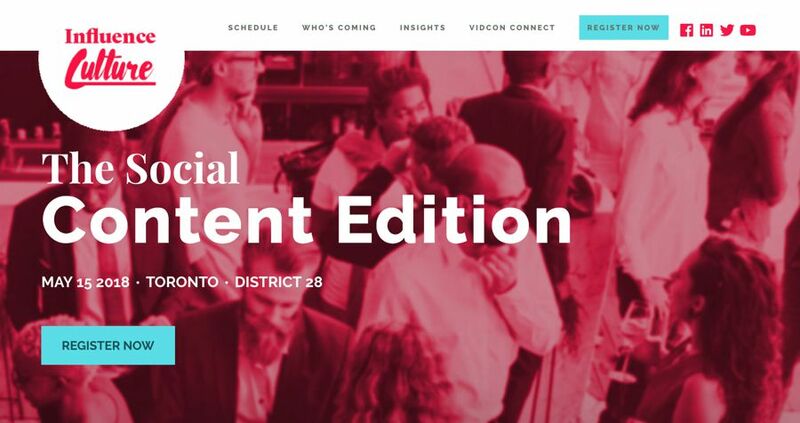 Influence This aims to be Canada’s premier Influencer marketing conference. 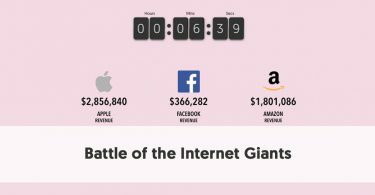 It targets marketers, agencies, publishers, media & advertising technologies, and creators. VidCon describes itself as being for people who love and make online videos. 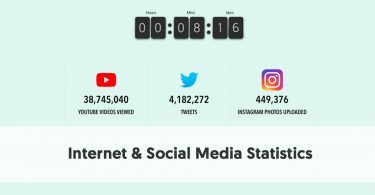 It covers all social channels that feature video, including YouTube, Instagram, Facebook, Snapchat, LinkedIn, Twitch, and Musical.ly. If you are a marketer, business owner, creator, or Influencer wanting to be involved in video Influencer marketing, then the Industry Track will be ideal for you. The Industry Track includes Lounges, Seminars, Keynotes, Panels, and Fireside Chats. ConnectHER Media will host this year’s ConnectHER Media Social Influencer Conference at the SLS Las Vegas this upcoming August. It is primarily an invitation-only event for writers, influencers, bloggers, moms, PR, marketing, entrepreneurs, and brands. It will include focused expert-lead roundtable, break-out sessions. Attendees will have more than 50 sessions from which to choose. ConnectHER Media aims to bridge the gap between influencers, brands, PR, marketing, and entrepreneurs. Also, there will be speed networking between brands and influencers, swag suite, and master hands-on working sessions. 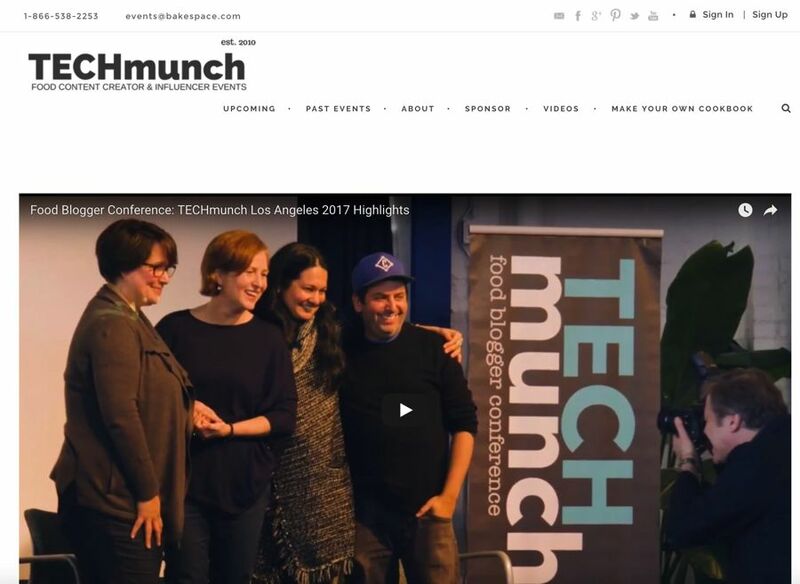 The TECHmunch Conference travels across the United States, coming to San Francisco, New York, and Los Angeles over the remainder of 2018. It aims to bring content creators (food bloggers, culinary influencers, and culinary brands) up-to-speed on the latest techniques for photo and video storytelling. It demonstrates to food Influencers how they can improve their content. It teaches how to plan, shoot and syndicate content for Facebook Live, Instagram, Snapchat, and Pinterest. Launched by BakeSpace.com, the day-long event is for anyone serious about culinary content, including food bloggers, recipe writers, traditional content developers, cookbook authors, PR/marketing reps, as well as brands that want to work with culinary content creators. 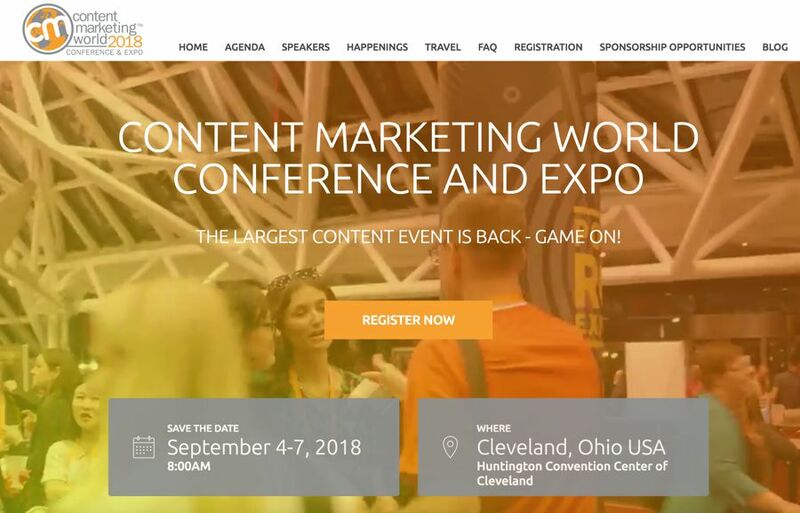 Content Marketing World 2018 will provide the opportunity for you to learn and network with the best and the brightest in the content marketing industry. There will be over 120 sessions and workshops presented by leading brand marketers and experts. 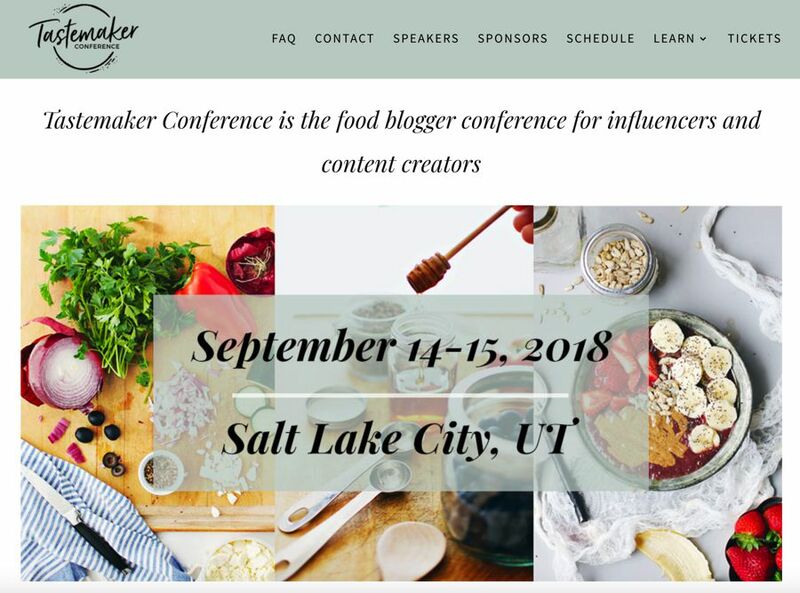 Tastemaker Conference is a food blogger conference for foodie influencers and content creators. It aims to teach you the essential skills for running your own thriving food blog. There will be 25 inspirational speakers and instructors to teach relevant skills to foodie Influencers. It will also provide numerous networking opportunities. 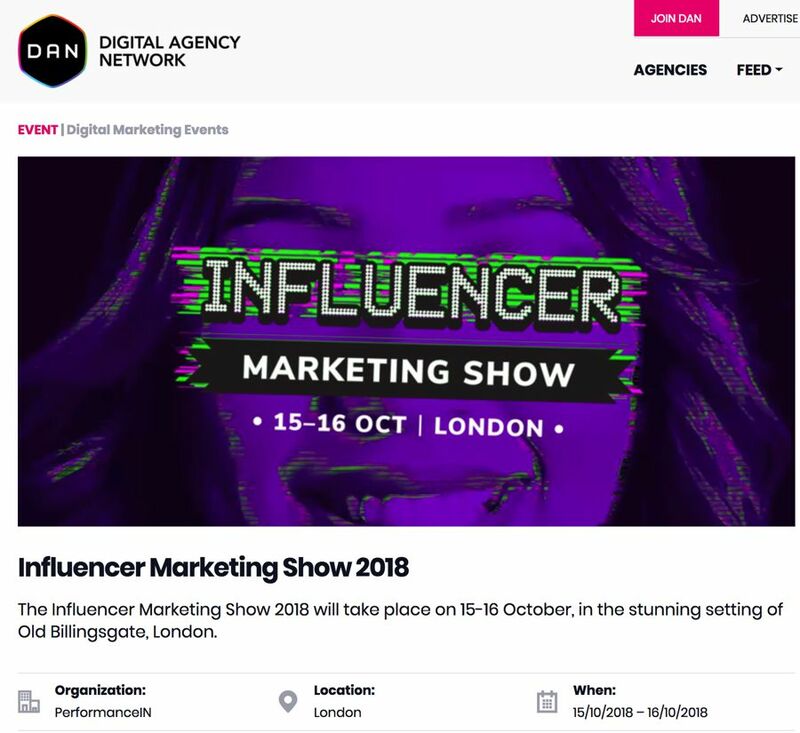 London gets the opportunity to experience another influencer marketing show this October at Old Billingsgate. It will cover how brands, agencies, and influencers can work together to maximize their marketing campaign. During the two days, speakers will uncover the tools, methods, and strategies used by leading brands to evaluate community, celebrity, micro and macro influencers reach and create meaningful relationships. Attendees will receive a list of mistakes to avoid, an understanding of how metrics and data must be used to spend their budget wisely, and an action plan they can put into action as soon as they are back in the office. Visitors will also get to meet influencers in person and have numerous networking opportunities. They will have the chance to meet a range of agencies and brands operating within the influencer space. Social Fresh aims to provide the most up-to-date and actionable training for the modern social and digital marketer. The agenda is not yet available, but it promises to include sessions on a range of social topics. 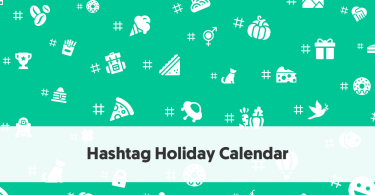 These include Instagram/Snapchat Stories, influencer marketing, increasing engagement, video ads, live video, chatbots, UGC, audience growth, social media automation, LinkedIn, Twitter, Instagram, Facebook, Messenger, content marketing, social advertising, community building and more. Every day includes networking opportunities. There is also a special speed networking session on the Wednesday (for a maximum of 15 people who can buy VIP Passes). If you are in finance, higher education, hospitality, or the non-profit sector, there will also be a pre-conference industry training add-on available.